I then went to see Lavalette in the rue Ecole de Medecine. This is the man who had the collection of over 300 tattooed human skins. These skins date from the first quarter of last century down to the present time; many of them are very curious and extremely interesting, consisting of skins of sailors, soldiers, murderers and criminals of all nationalities … Lavalette told me that the skins are unique, that no more could now be got under any circumstances and that each skin had taken him a long time and cost him a certain amount to cure and prepare for his permanent collection. Other than these brief notes, there is little else to go on in the Wellcome archives. Eighty-five years later, these objects remain in storage, and prior to my doctoral thesis, had never been comprehensively studied. My research explores all aspects of the collection; from the material properties of the skins as prepared specimens, to the iconography of the tattoos; to the social and historical contexts of their preservation and collection. This broad interdisciplinary approach has lead me on some fascinating journeys through dissecting rooms, forensics labs, and private collections, as well as libraries, archives and museums in London, Paris, Lyon, and beyond. Tattooed human skins on display at the Wellcome Collection, London. 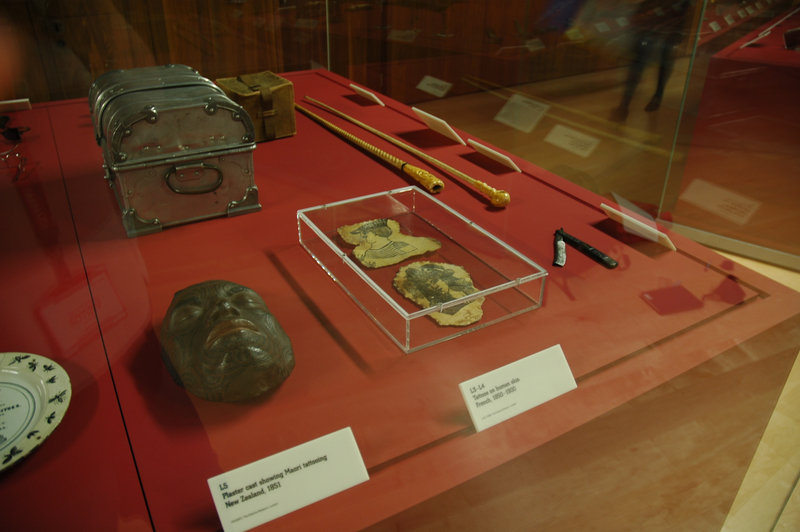 Although the collection has never been exhibited to the public in its entirety, two of the skins are on permanent display as part of the Medicine Man exhibition at the Wellcome Collection, and can be seen here. Seven more were displayed as part of the 2010 Wellcome special exhibition Skin. A larger selection will be on display as part of the Tattoo: British Tattoo History Revealed exhibition at the National Maritime Museum Cornwall, from March 17th 2017 – January 7th 2018. Johnston-Saint, P.: 1929a. Johnston-Saint Reports Jan–Nov 1929, in: The Wellcome Collection Archives, London, (Saturday June 15th), p.9.